An idea for LaserX5's "SatAM-X" series. 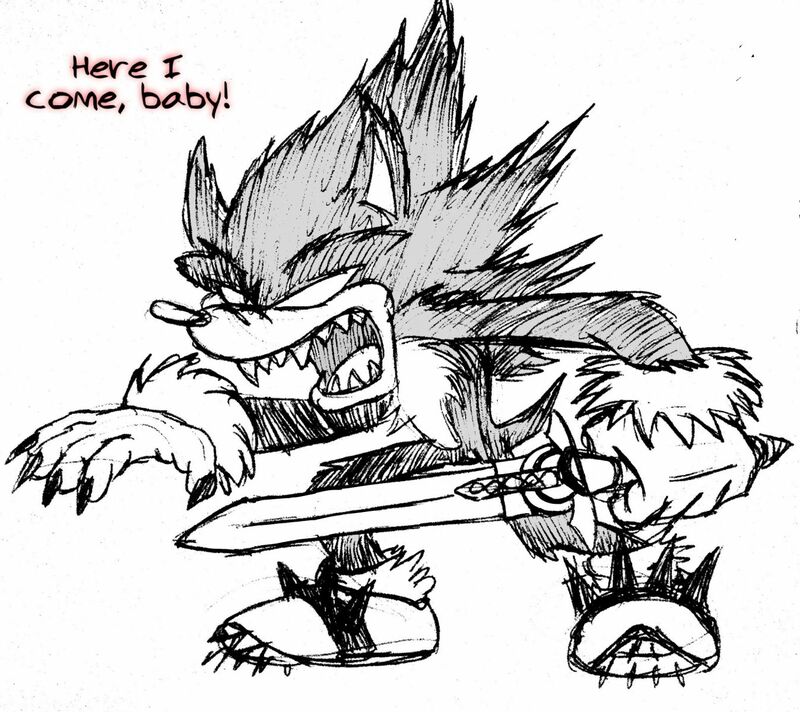 Due to the cursed sword of incredible power, the wielder will undergo a hideous transformation into a shadowy beast. The look in their eyes is said to be "pure chaos." 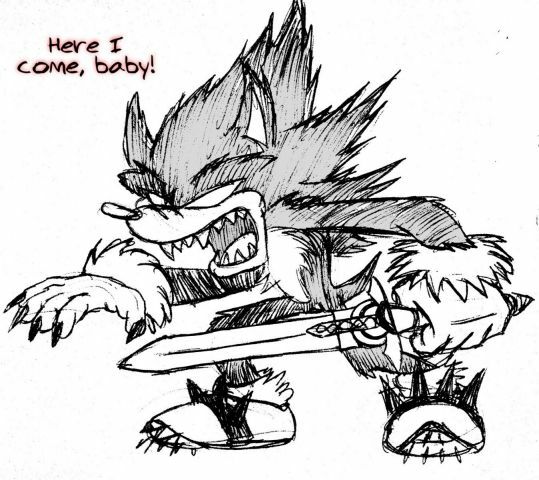 The design is basically a cross between Dark Sonic and the Werehog. The sword's design is Caliburn from "Sonic and the Black Knight".